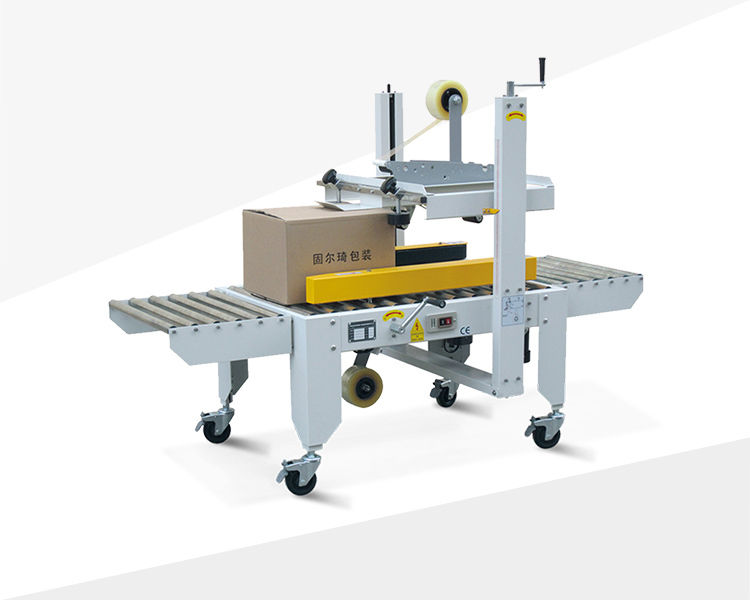 Two sides belt driven carton sealer is driven by the belts on the both side, with BOPP tape seal, box can be sealed smoothly. The size can be adjusted manually according to the box’s size which is easy and convenient to replace labours, increasing work efficiency up to 30% and saving 5%-10% consumables. This machine is an ideal option for light high boxes, it can save costs and increase producing efficiency. It can be widely used in food, medicine, toys, tobacco, daily chemicals, electronic tobaccos and other domestic industries. ©Copyright 2019 Gurki Packaging All rights reserved.